Burberry The Beat for Men is a manly energy and an inimitable unique identity. Burberry The Beat for Men Eau De Toilette 100ml. is a manly energy and an inimitable unique identity. The smell is for a creative man who is intensely living with a present, deeply honored tradition, and at the same time is firmly connected with his time and standing on his feet. 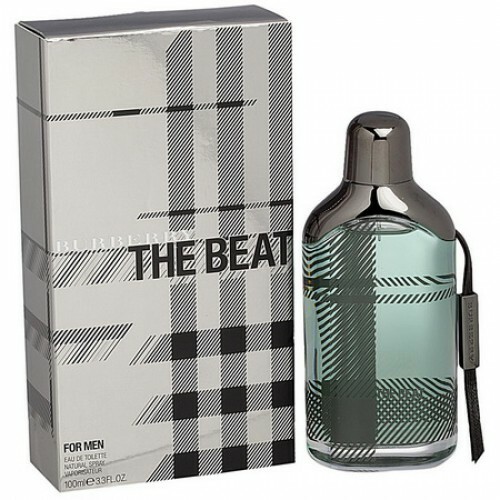 Men's fragrance The Beat Men will surprise you with juicy chords of citrus along with fine notes of purple. The gorgeous essences intertwine with the spicy heart of the scent. The distinctive black pepper, aromatic warm cedar and vetiver create a unique fragrance experience. Perfectly use this Burberry Perfume for men in every situation! Burberry The Beat for Men combines all the features of a peculiar man. The aroma expresses the uncomplicated elegance, youthful positive spirit and individuality. This is a tribute to the classics of the famous brand Burberry, returning to the legendary sixties. The idea of ​​a male perfume was inspired by the cult music of the most famous British bands. Meanwhile, toilet water has not lost a close connection with modernity. Refreshing and harmonious The Beat, which features an amazing citrus-tree bouquet, is aimed at young energetic men who prefer an active lifestyle. His owner enjoys every minute he has lived and does not regret anything. In this fragrance, the components that contain classical notes are most appropriately selected. But at the same time The Beat is rather unusual, it perfectly emphasizes all the dignity of modern men, keeps the necessary pace, representing an unusual cocktail. So, the freshness of the composition opens a citrus explosion, Which gradually replaces the chords of noble skin, saturated with the strict sound of black pepper. The depth of wood notes of vetiver and cedar fills the aroma with courage and warmth. The Beat is a classic dressed in modernity!